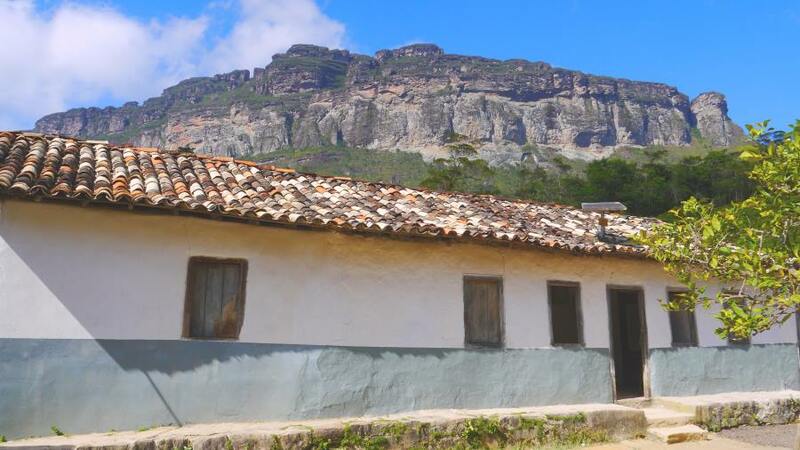 The Pati valley is considered one of the most beautiful treks of Brazil. Disconnect at least 2 days from the rest of the world and reconnect with yourself and the surrounding nature. 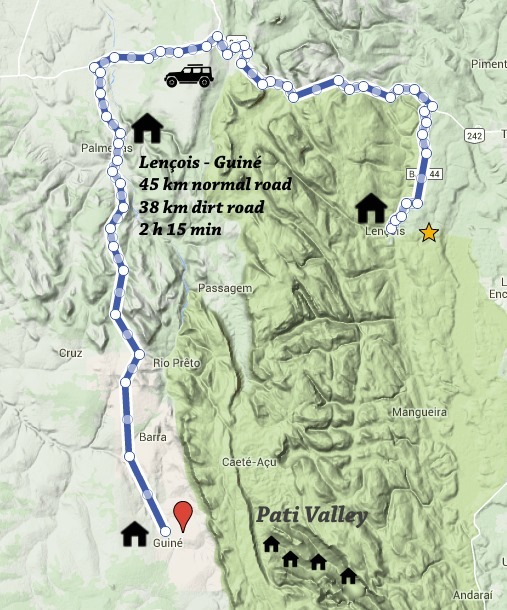 This 2 day hike is recommended for those who don’t have the time for the 3 day hike but want to see at least the basics of the Pati valley like the famous viewpoint and the Cachoeirão valley. You are in a very good physical condition to face some challenges : steep climbs and descents, taking off shoes to cross rivers, climb over some rocks, walking long distances. We leave Lençóis by car at 08:00. After 1 hour of asphalt road and 1 hour 15 min of dirt road we arrive at 10:30 on the beginning of the path to the Pati valley. We start the day early because we need to walk around 18 kilometers. We begin the day with a climb of about 350 m and the rest of the day we walk on nearly flat trails or downhill but nothing too technical. We will be back in Lençóis only around 19:00 or 20:00. Weather conditions : with lots of rain, the path to the falls is full of water. We did a 3 day hike and a 1 day hike. Very good service by Pieter. The hike was amazing and unforgettable. The views even more spectacular. 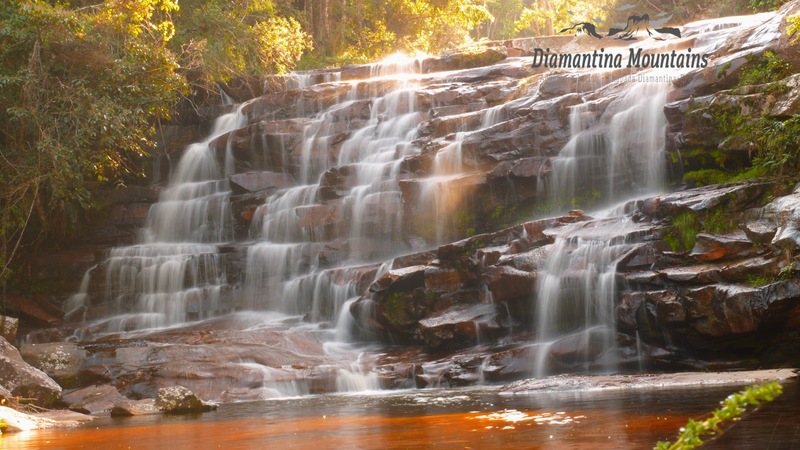 We will go back and we are sure that we contact Diamantina mountains again. The 3 day hike was to the Pati valley with a guide called Jean. A very experience guide and changes the hike to your needs. 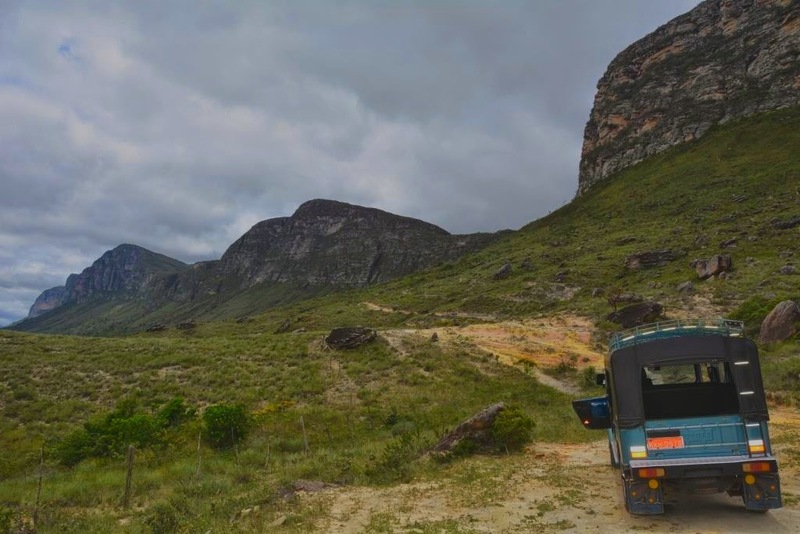 I think it’s very important on a long hike that you have a “connection” with your guide to get the maximum out of your trip… no negative points… We strongly recommend Pieter and his guides!!! 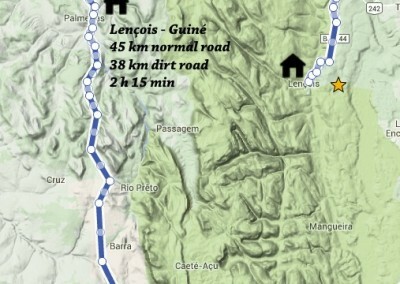 The 1 day hike was with Pieter himself to Poco do Diabo (Devil’s Pit) and Morro do Pai Inácio. truly amazing!!!! the sunset was spectacular at Pai Inácio and we did the jump at Poco do Diabo from the waterfall…!!! (i never, ever took the time to fill in a comment on the internet but this was such a positive, pleasant trip and stay). Learn here why the prices are not as expensive as they look. No expenses of a pousada or restaurant in town. -You will have a nice Brazilian breakfast with fruits, cakes, breads, etc. Energy for almost a full day. -At the end of the day you can enjoy a buffet dinner, lots of nice local dishes, cooked with love. The Pati valley is totally isolated from the “modern” world. Locals bring everything they buy from town by donkeys over the mountains. It takes about 5 hours by foot to reach the first village. Personal qualified guide and transport is included. 75% payable in cash ( Brazilian Reais ) on the tour day. 1. Send us an email with your preferred tours. 2. We send our bank details. Pay in euros or dollars. 3. You receive an email when your payment is accepted. 4. Your booking is done ! 5. We mark your booking in our agenda.